It’s official-- Weightlifting will be given the go-ahead for inclusion in the Paris 2024 Olympic Games, despite the sport being tarnished by multiple doping cases. This of course, falls under some conditions. Positive steps On the first day of the International Olympic Committee Executive Board meetings, the Executive Board announced its decision to lift the status of ‘conditional inclusion’ of weightlifting in the programme of the Olympic Games in Paris 2024. Since September of 2017 weightlifting has been under careful scrutiny by the IOC. The sport was given the ultimatum to deem itself doping-free or to risk its spot in the Olympic Games at Paris 2024. 1. Clean weightlifting will be rewarded. The qualification system for the Olympic Games Tokyo 2020 in which the quota available per country will be based on their history of doping. Any nation with 20 or more doping violations with 2008 to 2020 will be only allowed one man and one woman to compete at the Olympic Games. 2. The rules and whereabouts of the athletes. The athletes have to regularly appear at international events and be subject to after competition and in competition testing. 3. Work that the IWF has done with the support of other anti-doping agencies. The methods they have found. The testing for G-doping but the IWF has really worked with WADA and increasingly the ITA to look at the policies they have in place, which in some areas have now become leading policies. 4. The final and main condition is the partnership agreement with the International Testing Agency (ITA) to be able to confirm a successful transition of the key areas of the IWF’s anti-doping programme. What’s Next? 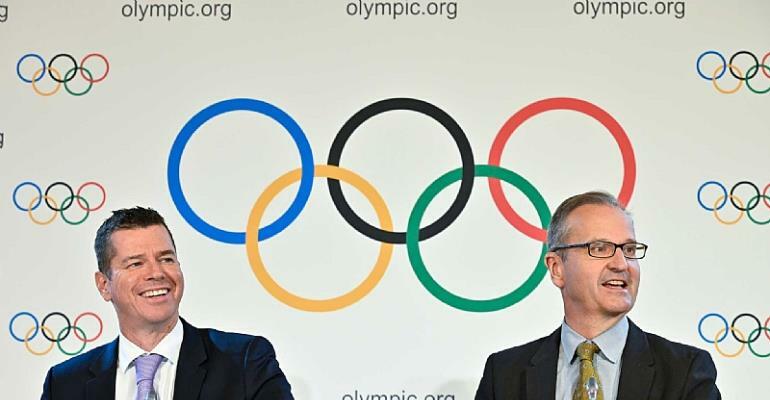 Once this partnership is in place, the IOC EB decision will be enforced immediately and the conditional inclusion of weightlifting on the programme of the Olympic Games Paris 2024 will be brought back into place and reconsidered at the IOC EB meeting in June 2019. With that being said, the IOC EB, the World Anti-Doping Agency (WADA), and the ITA will continue to closely monitor the IWF and its actions to ensure its commitment to maintaining a clean sport. "There will be a very close monitoring in place, not only of the situation but the ongoing implementation of the programmes and the commitments in place by the IWF but also the whole weightlifting family,” IOC Sports Director Kit McConnell said. “If anything does come up, it will automatically be reported to the IOC Executive Board for further consideration."